Integrated Application Lifecycle Management(ALM) is a totally integrated set of tools and processes that help organizations manage the complete lifecycle of an application development. It connects different teams, activities, platforms, tools and processes.It spans from idea generation to the end of the application’s life. How Does it Impact Product Quality? Ensures code quality and performance throughout the lifecycle process. Quality of work is validated at every stage and defects are caught during the process, instead of at the end of it. How Does it Help in Cross-tool Reporting? 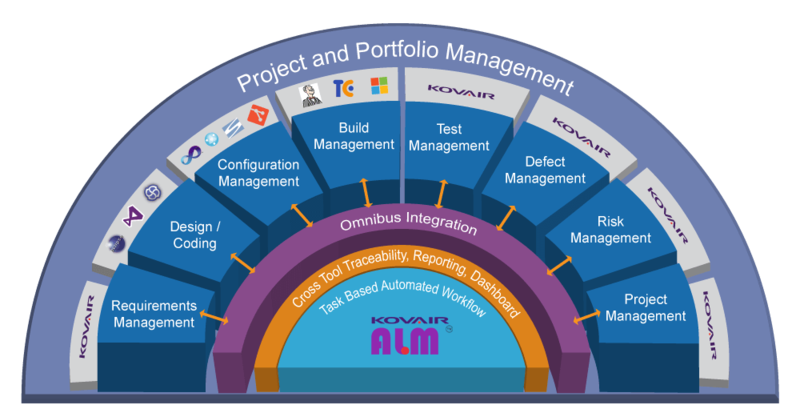 Kovair Integrated ALM – What does it offer?